The officers and members of Rochester Elks Lodge # 1091 welcome you to our lodge, at 1652 Hiway 52 North. (In the Hillcrest Shopping Center) The Rochester Lodge was chartered in 1908 and we recently celebrated 100 years of Elkdom. The Lodge members met at the Masonic Lodge until 1911, when they built their own building in downtown Rochester next the Martin Hotel. In 1964 we moved to a new building in SE Rochester on 2 acres of land. In 2006 the property was sold and the Lodge is now leasing the present facility. 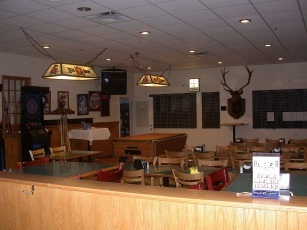 We have a bar and lounge area and a large lodge room that can be rented out for various functions. We use it for parties, dances, bingo, etc. The Rochester Theater Group has built a stage in the lodge room and holds dinner theater productions a few nights a year. You are invited to visit any time.